This allegorical tale follows a womanising doctor living with the repercussions of his involvement in a mass anti-government movement. In a world that feels parallel with China, Yuan Mengliu is a poet who followed the charismatic protest leader Qizi into the streets to fight a dictatorial regime. Unable to save Qizi from a dark fate, he abandons poetry for medicine. Once a year he allows himself to search for her. His travels lead him to Swan Valley, a ‘perfect society’ and totalitarian nightmare where torture, forced labour and execution reign supreme over human expression. 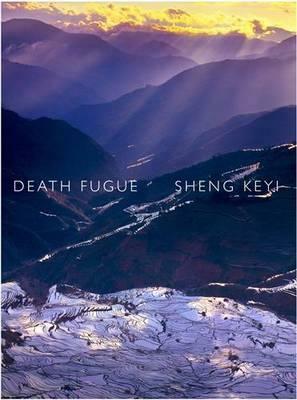 Death Fugue is a mix of satirical adventuring, dreamy youthful romance, silly metaphor and brutal Orwellian terror. It’s all entertainingly jarring thanks to the author’s wry sense of humour. This type of parody – a mix of high- and low-brow – has been much more common in post-communist literature in Russia and Asia than in the Western world. Regardless of how unusual local audiences will find the style, the most compelling aspect of this unsettling tale is its unspoken but clear subject. There’s no denying Sheng Keyi’s scatological absurdism makes for a messy allegory – this is an outrageous world where the struggle for freedom frequently crosses paths with unglamorous bodily functions. But this reflects a very dirty and uncomfortable secret that haunts contemporary China. Much as some might want to, the author’s generation cannot escape a legacy of suppression and brutality, and this is a wild, bold attempt to navigate that legacy. While the Chinese government did not disclose overall spending on domestic security this year, for the past three years it has spent more on internal security than on its military budget. This is a sign it fears its own people’s thirst for freedom and equality more than any international threat. However quirky Keyi’s execution, for an author to tackle such a taboo subject in this context is extraordinarily brave.